I don’t necessarily consider myself artistic. Creative, yes. Crafty, yes. But artistic? I feel like that falls more into the realm of fine arts. People who are really good at drawing, painting, photography, ceramics, etc. I’m none of those things. 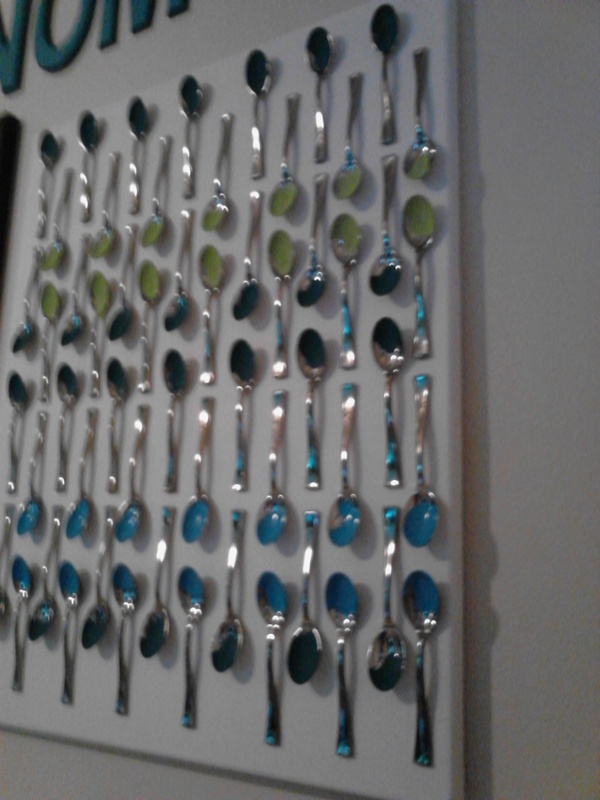 Then I stumbled across this wall art project from The New Domestic. It’s a painting in that it involves putting paint on a canvas, but you don’t need any technical training or skill to do it. My kind of painting! Plus, I’ve been wanting something big to put above my couch for a while, and the bold, graphic simplicity of this piece really appealed to me. You can see my piece above, and here’s the step by step. 1. 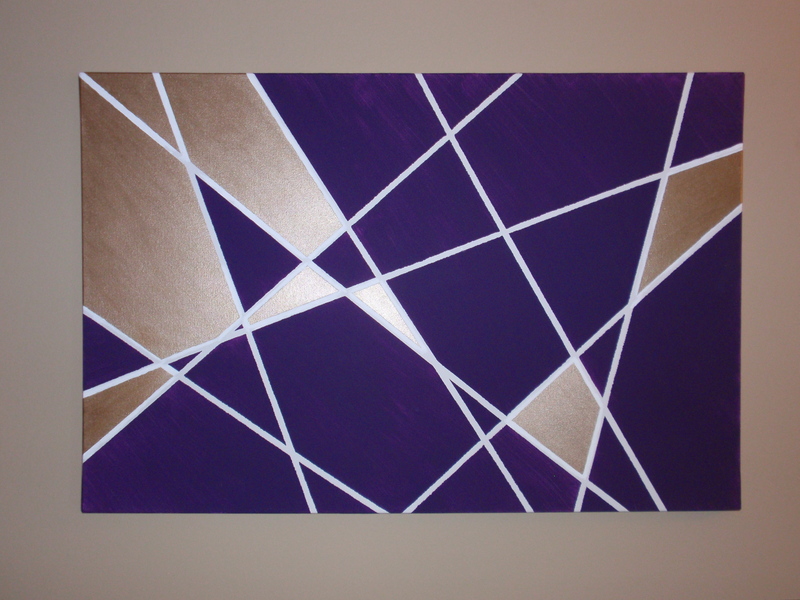 Figure out what size you want it, and buy a canvas. 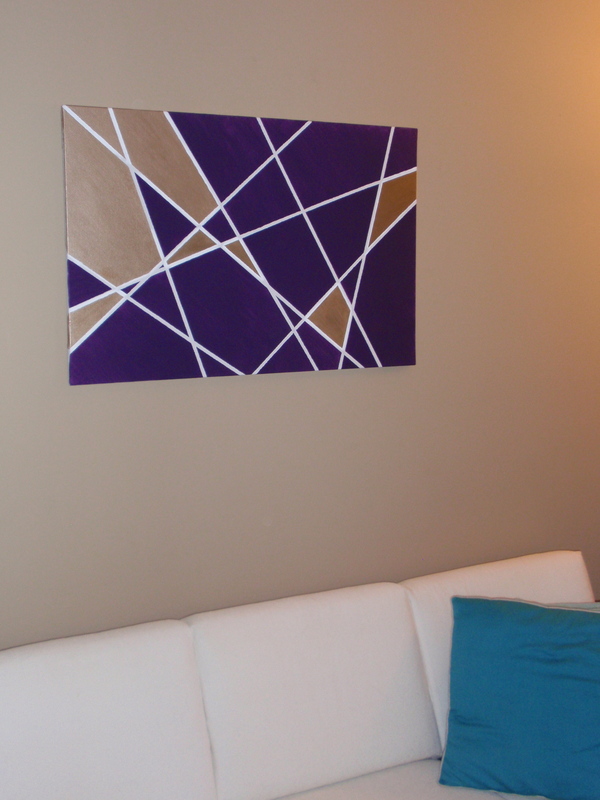 I could have gone a little larger, but I was nervous about tackling such a large project and hey, canvas is expensive! 2. Select your paint colors. Do you know how hard it is to pick out a good accent color at Hobby Lobby by yourself? I needed a second opinion! In the end, I love the pop of metallic that the gold gives, but I stood there and debated for a good ten minutes. I used acrylic paint, ps. 3. Painter’s tape. I used 3/8″ width, but the original posters used 1/4″ width. It just looked so skinny when I was picking out tape! Note: I couldn’t find painter’s tape in that skinny of a width, so I used artist tape that I found at Blick. There was definitely some bleeding, so I recommend really trying to find painter’s tape. 4. You’ll need some brushes. I’m going to assume you already have those. 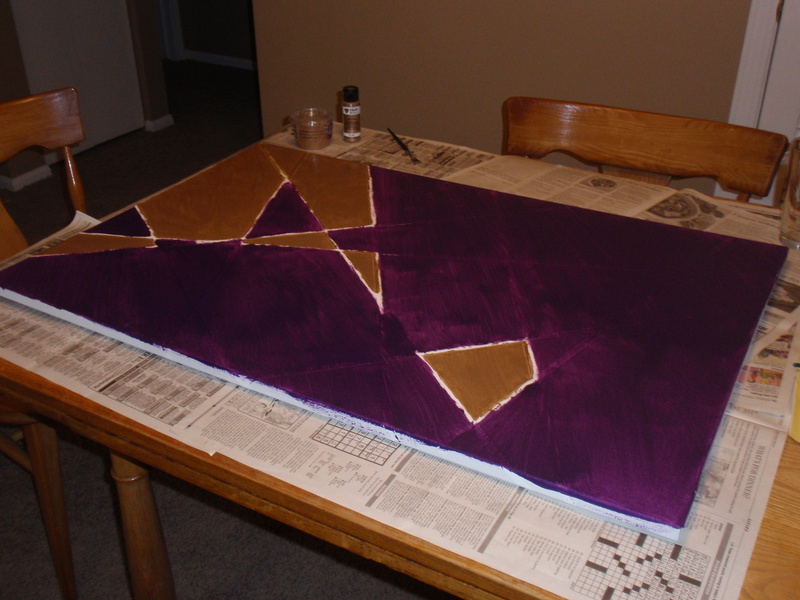 I used a bigger brush (like hardware store vs art store) for the large purple sections and a small craft brush for the smaller sections. 5. Figure out your pattern, so to speak. I drew a rectangle and tried out a bunch of criss-crossing line variations until I liked one, then I played around a bit with what sections would be the accent color. Over at The New Domestic, they used Photoshop for this step, but I’m low budget. 6. 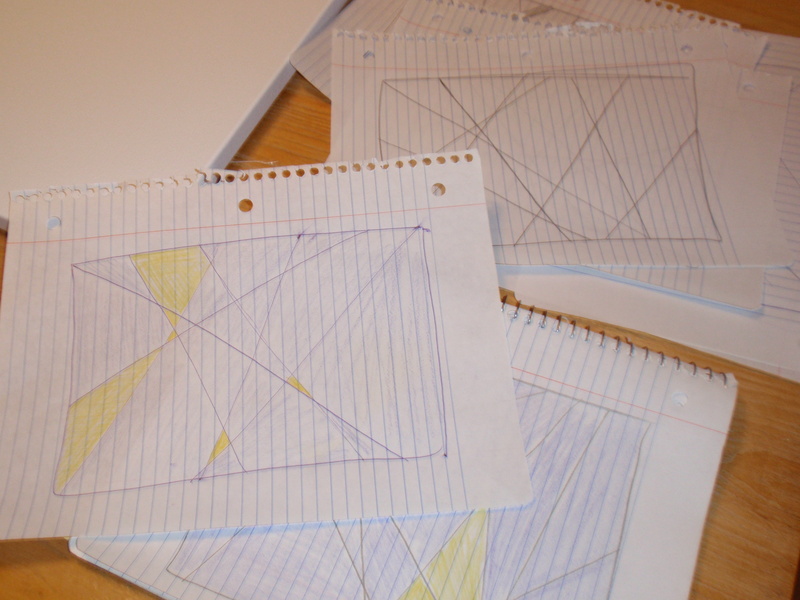 Tape out your lines. I also marked each accent section with a gold dot. 7. Now we’re getting to the fun stuff. PAINT! Don’t go too crazy, though. With such skinny tape it’s easy to overlap into a section that is supposed to be a different color. Looks like a bit of a mess, doesn’t it? Once you take the tape off, though, it’s awesome. 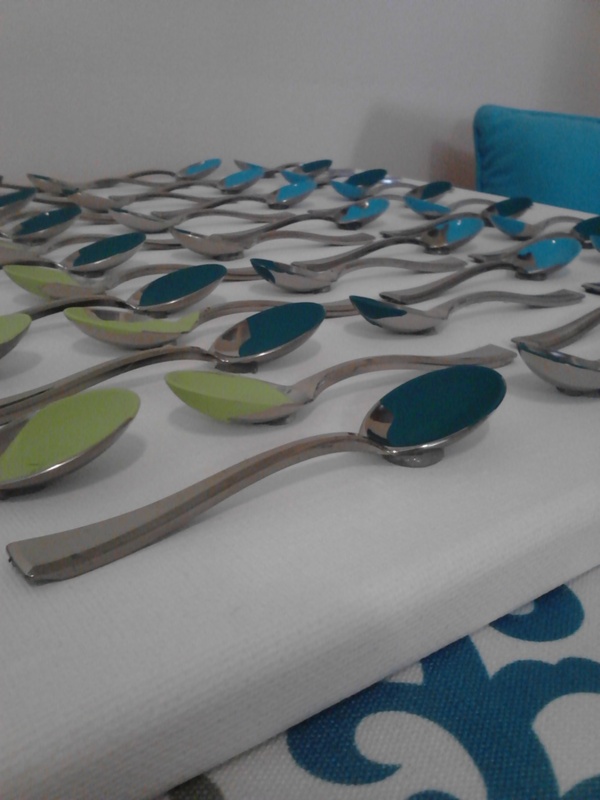 I should mention that I have a dark purple dish chair on the other side of the room. And a few other purple accents throughout. I am thinking about replacing one of the turquoise pillows on the couch with a dark purple one, though. Always looking for an excuse to buy another throw pillow! Anne is my oldest friend, and up until about our junior year of college, we always celebrated our birthdays together (they are 4 days apart). She lives about 980 miles away now, so we couldn’t celebrate together, but I wanted to send her something special. 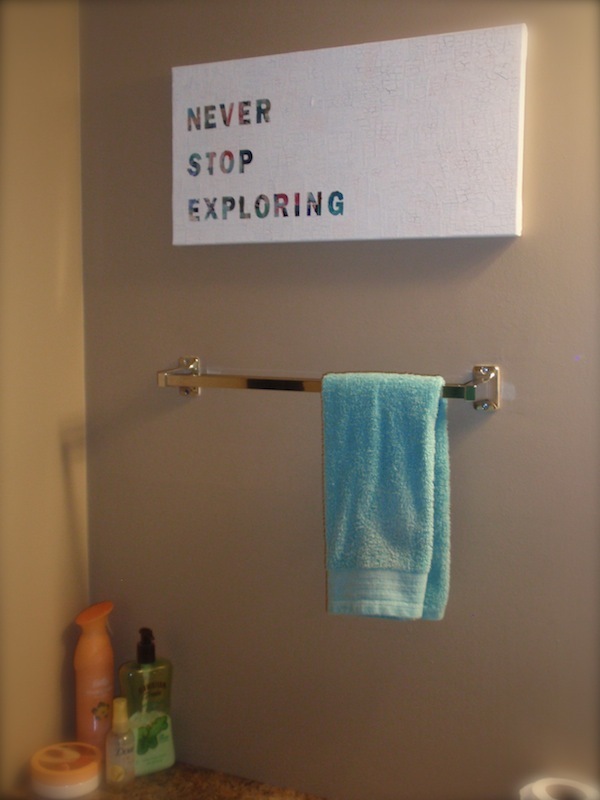 I used the same technique as in my bathroom wall art diy, but I think I figured out why that one came out so crackly. It’s the white paint. 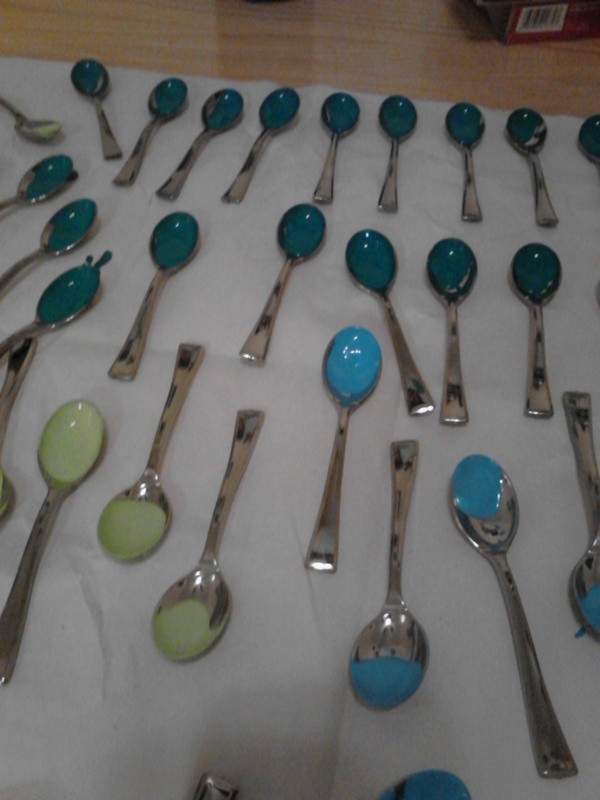 I was originally going to do this one white, as well, but since Anne’s room is decorated in light blues and lavenders, I added some blue paint (a different brand) to the white and suddenly – no more crackles! So, I’m guessing the white acrylic that I bought was just lower quality. A little background into this piece. Anne’s favorite poem is Lines Composed a Few Miles above Tintern Abbey, by William Wordsworth. It’s long and complex and I had to read it like 3 times before distilling the meaning enough to pick out a short phrase for the poster. But I did. Anne and I were both in honors English in high school, so I wasn’t really surprised that her favorite poem would be something so intellectual ha. In case anyone wants to know, my favorite poem is The Raven, by Edgar Allen Poe. Nevermore! My bathroom is…fine. I mean, it’s pretty large for a 1 bedroom apartment bathroom. But it’s boring and tan. My shower curtain and rugs are all solid turquoise. 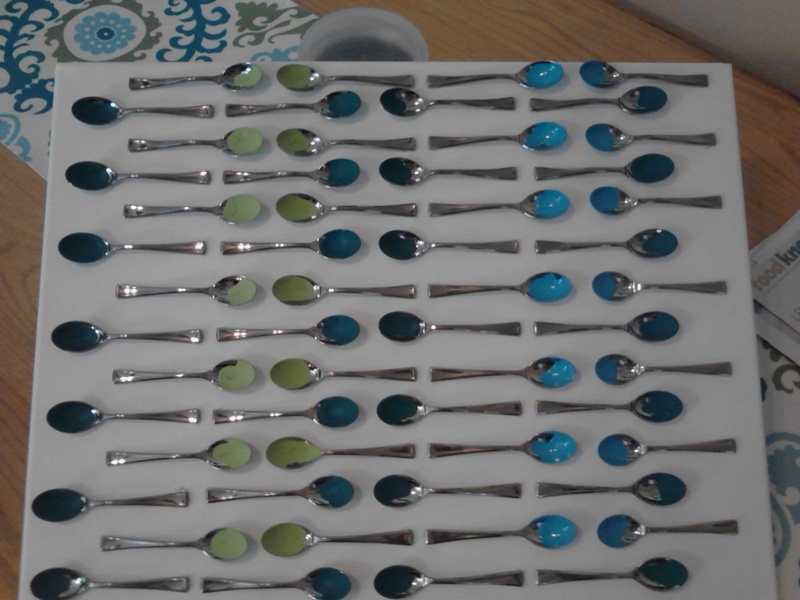 It’s been screaming out for an accent color or something to break up all the tan and turquoise. A few weekends ago I purchased some classy white towels with a turquoise accent, which made a huge difference. Next up was some art. I had already hung up a frame with two photos from my trip to Ireland (my European happy place!) so I kind of wanted something to go with that. 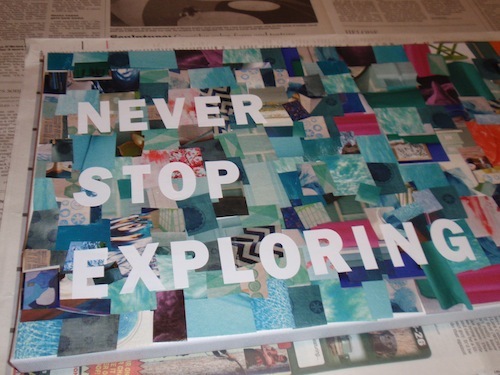 I saw a print on Etsy that had the phrase “Never stop exploring” and it immediately struck a cord with me, but I didn’t like the design of the print. It just wasn’t my style or color palate. 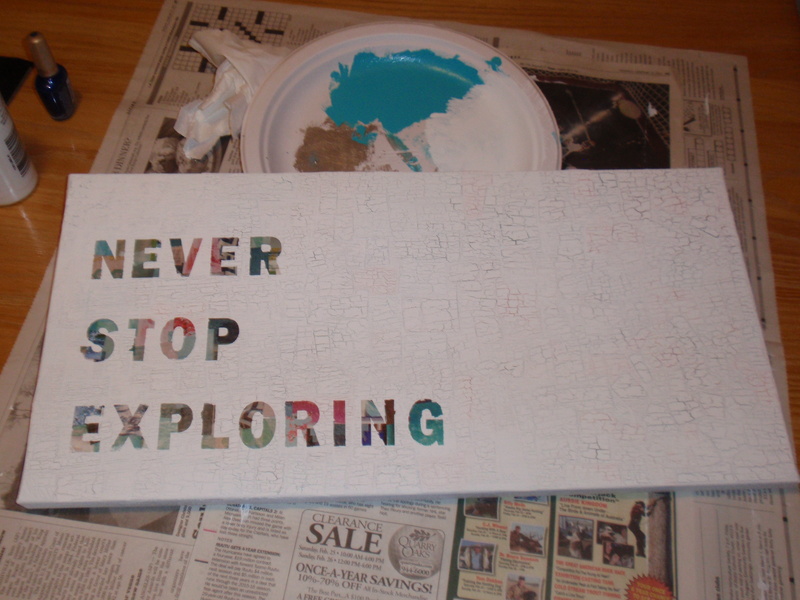 Inspired by this diy song lyric art over at A Beautiful Mess, I decided to make my own “Never stop exploring” art. 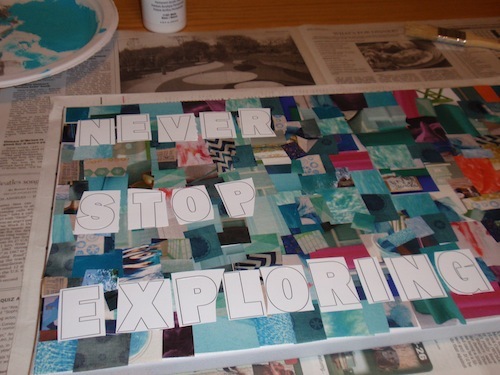 Step 1: Decoupage with diy Mod Podge (half Elmer’s glue, half water – so easy!). 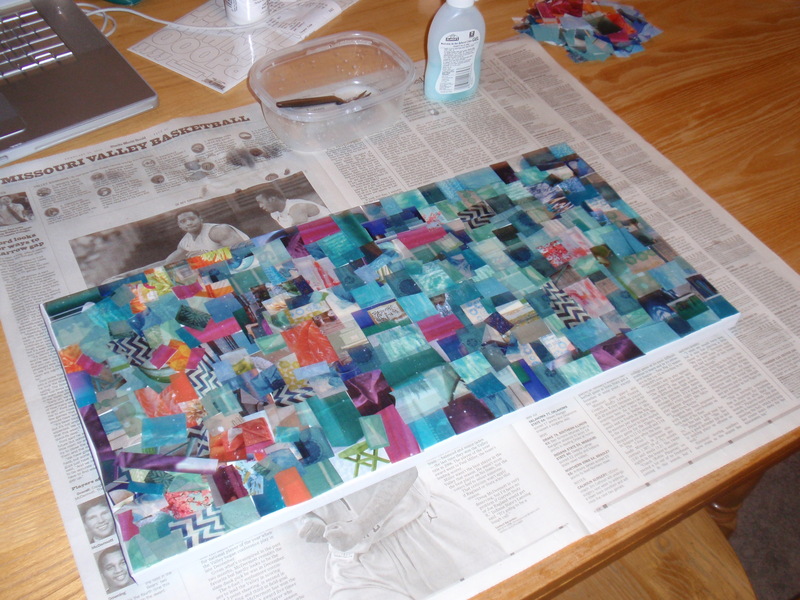 I cut out a TON (too many) of squares of color from magazines – mostly turquoise but with little pops of orange and fuchsia. I also cut my finger when I got a little too scissor happy, so watch out! 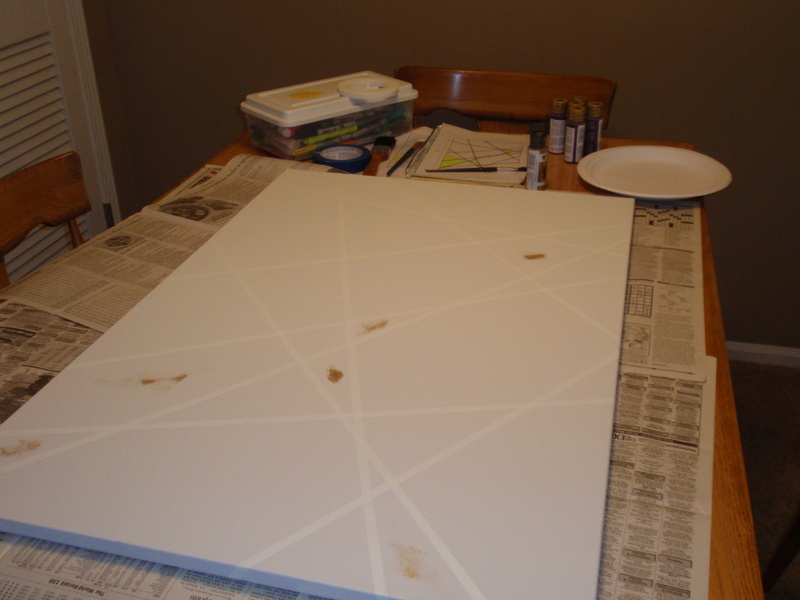 I spread a thin layer of glue mixture on the canvas, placed my squares, then spread another layer on top. 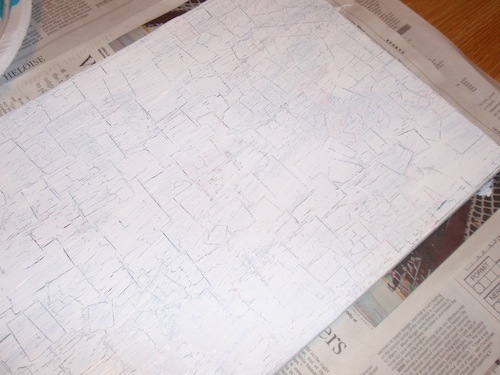 I did this in sections until the canvas was suitably covered. Let dry completely. Step 2: Lay out your phrase. I bought a pack of alphabet stickers at Hobby Lobby, cut out the letters I needed and arranged to my satisfaction before actually sticking the letters on. Step 3. Paint over the entire thing the color of your choice. I selected white so the collaged bits would really pop. 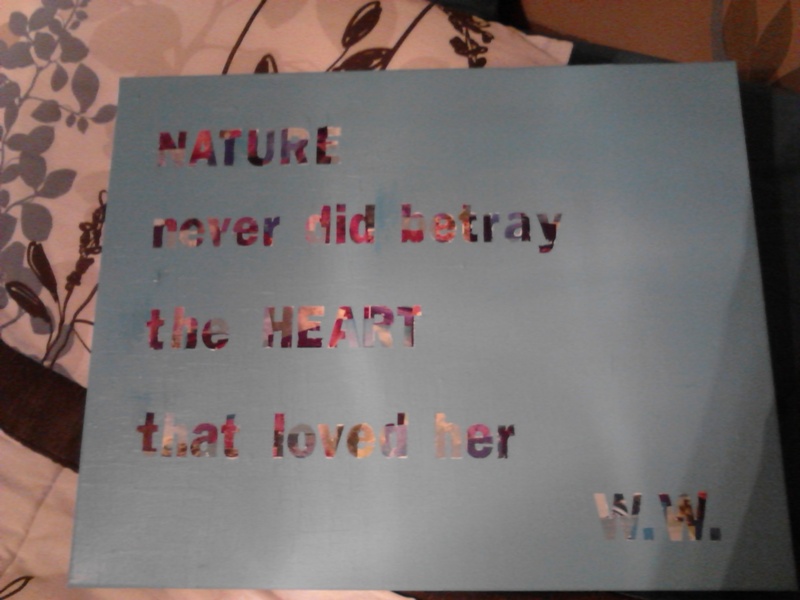 What I wasn’t expecting to happen was the little cracks in paint coverage because of the texture of the collage. The picture below is after only 1 coat of paint, but you’ll see I decided to embrace the cracks in the end. From far away they remind me of road lines in a map, so I think it works with the phrase. Step 4. Peel them stickers off! After the paint is dry, that is. I used an exacto knife to help me peel them off. Step 5. Admire the pretty thing you made! Go ahead, text pictures of it to all your friends, your mom, your dog, whatever! 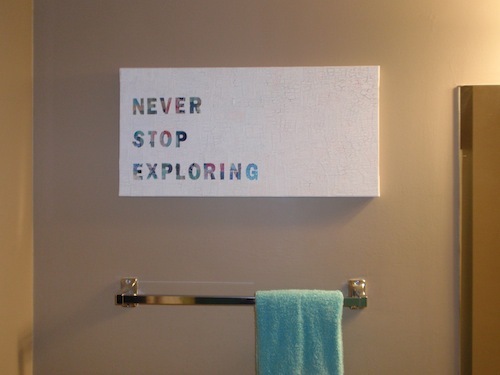 Since this will be hanging in my bathroom, I plan to spray it with a water resistant gloss sealer. Hopefully that will help it last longer. 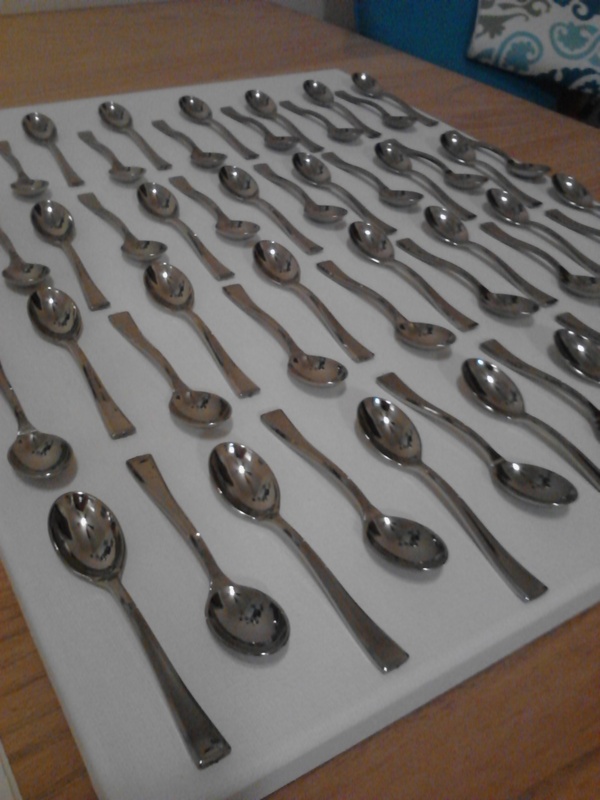 I love it – hope you guys love it too and maybe it inspires you to make something pretty!